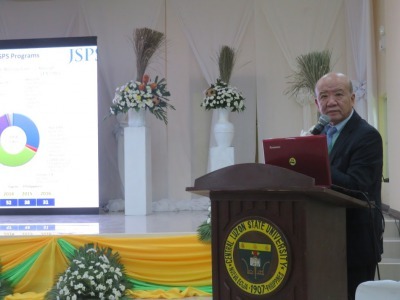 On 5 September 2018, the 6th international symposium of JSPS Alumni Association of Philippines (JAAP) was held at Central Luson State University (CLSU) in Muñoz city, Philippines. 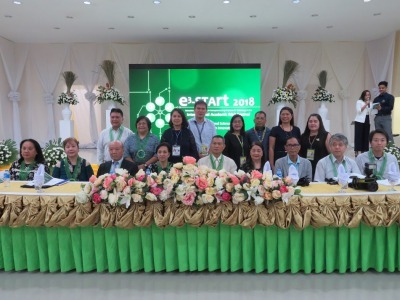 This Symposium was convened as a part of e3－START2018 International Academic R＆D Festival “Merging Art and Science for Next Generation Innovations” which is a science and technology event hosted by Department of Science and Technology (DOST). 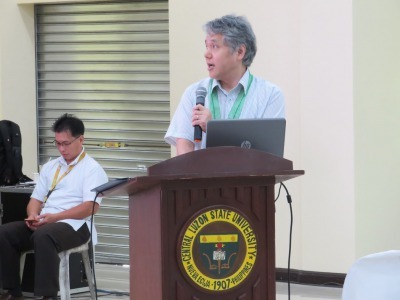 The symposium was kicked off with opening remarks by Dr. Melissa E. Agulto (Vice President for Academic Affairs, CLSU) followed by welcome message by Dr. Tereso A. Abella (President of CLSU) and Dr. Leah. J Buendia (Assistant Secretary for International Cooperation, DOST). In plenary session, two lecturers from Japan delivered presentations under the theme of symposium. First speaker Dr. Yukihiko Yamashita (Assoc. Professor, Tokyo University of Technology) gave a presentation entitled “A Brief Introduction to Artificial Intelligence”. 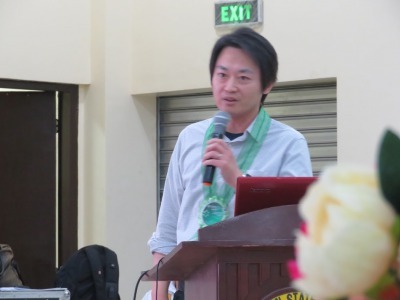 Second speaker Dr.Yoshinobu Tamura (Professor, Tokyo City University) gave a presentation entitled “Analysis Methods and Tools Based on Deep Learning for Big Data”. At a question and answer period, participants asked a wide range of questions to those two lecturers. And then, the last speakers, JSPS Bangkok Office Director Prof. Kuniaki Yamashita, introduced JSPS’s international programs, and collaboration between JSPS alumni associations and foreign counterpart agencies. 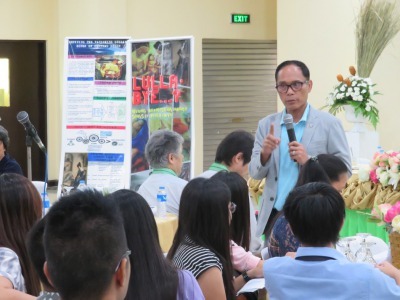 To conclude the symposium, JAAP President Dr. Renato Reyes introduced the activities of JAAP and advised to apply to JSPS international programs and to enroll JAAP. Moreover, some JAAP members explained their experiences. The symposium ended successfully, with more than 150 participants including graduate students and young researchers.